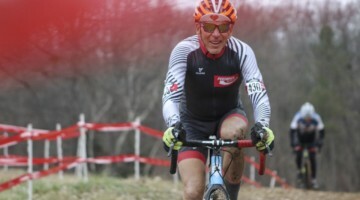 Masters racer and regular contributor Lee Waldman has some thoughts to air out about the 2010 Cyclocross National Championships. The opinions expressed belong to Lee and do not necessarily reflect the opinions of Cyclocross Magazine. But we at CXM do hope that they’ll fuel a constructive debate…drop your own comments below. If you missed Lee’s last columns on his personal race experience in Bend, or his reflections on this year’s new cyclocross rules, go back and check ’em out! I’m wondering if it isn’t time to revisit the model that we use in the US for Nationals. Bend was an excellent event, don’t misinterpret. I love the town, loved the course and even “loved” the weather, in the sense that it offered a challenge that we haven’t seen here in Colorado this year. But anything can be improved upon, and unless we continually examine what we’re doing, we run the risk of growing stale. The course for this year’s Championship was an improvement over last year’s. The technical section after the pit plus the added length in the grass helped. It also was much easier on the officials – riders still got lapped, but at least it didn’t happen so early-on in the race. Having come from a region that was “blessed” with dry weather this past season, the snow presented a challenge that I hadn’t seen since, well, since Bend last December. In the past I’ve struggled with slick and icy conditions such as those that I found at 8:30 on Thursday morning. Two years ago I would have been overcome with anxiety and literally crept around the course, white-knuckling each descent and crawling around the corners. Having worked on my cornering during the season, I was a lot more confident in my technique this time around. Choosing to ride the “B” race on Wednesday gave me some familiarity with the course and that helped as well. I might have had too much fun on Wednesday, though. I lined up for a next-to-last-row start, and so I raced with the goal of catching and passing as many “youngsters” as possible. And I was pretty successful, moving into the top 40 for a while until a half-dozen falls moved me back into the 50s. Still, I had fun – so much fun, in fact, that after the race a complete stranger approached me and commented on the ear-to-ear grin I wore through the entire event. 8:30 the next morning came way, WAY too early, and I learned the hard way that at 60 years old, it’s tough to recover from a hard effort in less than 18 hours. The legs just weren’t there, and after getting a great start, I was ignominiously dropped by riders who hadn’t raced the day before and were fresher than I was. But I digress. The course conditions: Snow, ice, monster puddles. They transformed what might have been a 9-meter-wide ’cross course into a good deal of singletrack. The icy section through the woods was treacherous and left me with a severely sprained thumb, but it is ’cross, and we need to take the courses as we find them. I love riding in the snow and wouldn’t want it removed because then it’s road racing. I’m wondering, though, if there was anything that the promoters could have done to widen out the course so the entire width could have been ridden, even with the snow? After watching the last several races in Europe, maybe not. It’s just a question. I know many of you are reading this and wondering: Who is this guy anyway? Does he have the determination, skill and desire to race ’cross? Those of you who have raced with me know that I’ll be out there battling no matter the conditions and the weather, and I’ll be doing it with a grin. That said, I still believe there are some things that could have been changed to make the racing more equitable for all categories. One thing did bother me, though. On Wednesday morning I went out early to pre-ride for the B race. I expected some mud, some water and some frozen ruts, and I found them. The course was challenging, but fun. Then I came off of the first grassy section by the brewery and turned left onto a 4-inch-thick sheet of ice. Couldn’t even walk on it! Turned around, went back to the hotel and, with visions of broken ribs, elbows and collar bones, seriously considered bagging the race. 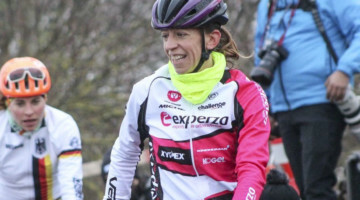 An hour later, after delaying the women’s starts, the offending section of the course had been taken out – it took multiple complaints from riders, though. Kudos for listening. Why didn’t they see the problem themselves? That said, the racing was great, the course challenging, and the best riders, as they always do, won the stars and stripes jerseys. What I’d really like to talk about is how we organize our cyclocross National Championships. Why is it that in every other cycling discipline Elites, Masters and Juniors have their own National Championship races separated by date and venue, but in cyclocross we squeeze them all together into one consolidated five-day period? Look at the USA Cycling schedule. In track, Juniors, Masters and Elites race their Championships in different venues and at different times. Same with the road. Not in ’cross. There are some benefits. Parents who also race can compete at the same time and place as their children. Since the Elite race takes place later in the week, if time isn’t an issue, it’s easy to stay and watch. The downside is that the scheduling leaves me feeling that the non-Elite categories, with the exception of the older Juniors and the U-23s, are all afterthoughts. They get the worst start times. Both years in Bend, we were breaking the ice off of frozen courses and riding off the snow that makes the course look more like single track. I hesitate to write this because I know I come across as a whiner. Believe me, I’m not. I rode the race and loved all of the physical and mental challenges it presented. It took power, strength and focus to ride well. That, in my opinion, is what separates cyclocross from other cycling disciplines. I’m presenting this more as a way to prompt discussion and critical thought. Why can’t USAC follow the same process for selecting venues and dates for cyclocross nationals than they do for those other disciplines? Accept bids separately for Junior Nationals, Masters Nationals and Elite Nationals. Make sure that the dates are late enough in the year, especially for those riders with aspirations of racing in Europe so that they can still fulfill those dreams. Schedule Masters Nationals at a time that doesn’t conflict with the holidays but insures that most riders who want to attend will be able to. Mid-November might even work. Some might argue that holding a championship race that early in the year doesn’t fit in with tradition. My answer: is tradition truly that important? Shouldn’t it be more of a priority to establish a system that works for the majority of the riders? Just because we’ve always done it a certain way, does that mean that it’s the right way? Spreading out the racing in that manner would ease the burden on families and still respect the needs of the Elite Juniors and Seniors to prepare for racing overseas later in the year. It might be burdensome to a city to host all three of these events at separate times. Accept bids from separate venues for each championship. It works on the road and on the track. Why wouldn’t it work in ’cross? If there is a city that would like to host multiple championships, then by all means give them the chance. Do something though because the current system, although it works, isn’t the best. Here’s what making these changes would do: First of all, it effectively shortens the extended periods of time that any one group has to be away from home. This year’s races in Bend took place over five days. 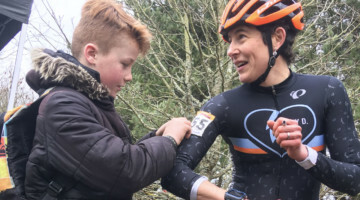 If you were an older Masters racer like me, or if you were the parent of a younger Junior, you potentially had to miss an entire week of work or school to race. One day at least to travel, one day to preview the course, one day to race. Then the choice was to rush home for the end of the week or spend more time and money in Bend to watch the weekend’s Elite races. If separate championships were held, then the time could be compressed, which might be easier on many people. Separating championships would eliminate the ridiculous times that many of the categories are currently forced to race. Why should masters racers who pump so much money into the sport and juniors whose families do the same be relegated to the least desirable race times? It’s dark and cold when we race. The courses are usually the least rideable and the most challenging for younger and older riders alike. Again, I’m not complaining about challenging courses. It is cyclocross after all! But if there’s a better way why not examine it? This is the that put the most money back into the sport and into the venues where the championships are held yet they are treated in many ways as second class citizens. Separating races would also allow for more time to pre-ride courses during each race day without forcing riders to risk disqualification if they sneak on. This also would make the racing fairer and safer by allowing riders to ride courses at close-to-race speeds during training. With so many racers wanting to look at courses in the limited time available to them, it’s more difficult every year to get an accurate look at a course without racing on it. There are, of course, downsides to separation. Each city would make less money. Riders wouldn’t have the opportunity to watch the Elite races without spending more time and money to travel. Companies that wanted to display their products at races would have to choose: split their resources, or pass on some events. It’s certainly not a perfect solution, but it does work in the other disciplines. The other problem might be that there just aren’t that many cities willing to bid on ’cross championships – but we’ll never know unless we try. My last column on rule changes generated a lot of discussion. I’m sure this one will as well. Remember, discourse and discussion have a long history in this country, and they can only help to grow our sport. I appreciate and value differing opinions and mine is only one – and certainly not the final one. Dispute my ideas at will, but please direct your comments at my ideas and not at me, if you please. Now go ride your bikes! I have felt this way for a long time; even before USAC finally decided to move nationals to January. But that is because of the elites only. It's time to separate the elites from everyone else and have masters and juniors (except 17-18 boys) go back to 2nd week in December as it has always been. We've got so many promoters that put on good UCI races that there's no reason why you couldn't put on a 2-day event in January and have day 1 be an amateur-fest (a.k.a. the "B" races) and have day 2 be a world-cup style event, with Junior 17-18, U23 Men, Elite Women, Elite Men only. I think its doable, and with good marketing and salesperson as part of the promoting team you could pay for it too. Question to the group – Are the track and road communities happy their respective national championship categories are divided up by date and location? What separates cyclocross from all of the other disciplines in the US is that community feel and party atmosphere. That's a big part of what made the two editions of Nationals in Bend in particular such huge successes, in my book. I think if we separated into 3 separate Nationals (Elite/U23/U19 – Masters – Other Juniors) and you added up the total participants and spectators from all 3, it would be less than we'd have for one really well-run event. It would also mean fewer of the great events that went on in the surrounding community (which were amazing! ), and I think the community aspect of the sport takes a hit. I was so super-excited to get to watch really badass racing for several days – from the youngest Juniors to the oldest Masters and, yeah, the throwdowns in the Elite races too. If they weren't all together, I would've missed out. As a writer covering the races, it's unlikely I'd be able to attend 2, and certainly not 3 events like this. As a racer, there's little chance I'd travel very far to one of these if I weren't also able to compete, just to spectate. I think we'd have fewer vendors, fewer spectators, likely fewer participants, and that we'd lose some of what constitutes the all-in-the-family feel unique to the sport. I agree with Josh. I like the community feel of having all the races at one time in one place. The very real negatives that you mentioned don't outdo the positives, in my opinion. I love the fact that there can be discourse about this topic without anger. I can see Josh's point as well as everyone else's. I certainly don't have an answer but I do think that the issue is worth examining. Got say every year at nationals I get up in the morning and pity the suckers stuck racing in the 8:30 am slot. I stil think even if it is broken up into the three groups some group is going to have an early morning slot. My other comment is with the move to January in Wis. chances are a handful of guys at the back will move up a spot because I won't be going. If I am going to skip the base miles/off season to race it will be to give masters worlds a try, but I feel like I need to be a bit faster justifying that trip. I don't come across as hateful about the move January, but if they are doing it for elites I am a bit confused. My wife who races in the elites pointed out it would be a tough trip to nationals if she does the Euro super 8 week that is often seen as the important preparation if you are looking to do worlds. I'm in the same boat as you. I'll skip Nats to go to Louisville. Part of the issue is time. I can't take time off from my job to race Nats and then take the same amount of time less than 3 weeks later to race Worlds. Nats will always be there. The chance to race Worlds won't. It's cross, it's hard, it's a festival. How important is tradition? Hmmm…..Paris Roubaix, Tour de France, Belgian cyclocross, Gloucester…..tradition is everything. Otherwise we'd all ride mt. bikes around while wearing ski clothing!!!! And zero epic saga stories would come from doing that. You do have a point which is why I wanted to open up the discussion. If I had to choose between racing in my masters event or going to watch and help my son in the elite events I would only do one of them. Most of us cannot afford to go to more than one national. Lee, let me throw some gasoline onto this discussion. I'm totally in favor of separating Masters from other categories to spread out the protional logistics load instead of all-category Nationals in January. I realize USA Cycling's interest in matching up with European calendars (at least most of Europe – Sweden and Finland don;t hold January dates for their Nationals) – but how about a purely American style Nationals date in November? Take a weekend in the heart of the season to crown non-Elite Champions and then they get the balance of the season to wear and show their jerseys in their regional and home events. Part 2 of the November option means any part of the country can host the Championships. I'd love that option! First of all, for those of us who want to race Worlds it gives us a lot of time to prepare. Second, as you said, it opens up the possibility of many more venues applying for the championships. Is anyone from USAC out there listening????? Lee, I am one of the people that loves that CX nationals has all the groups together. It's a bit like an incestuous "Seniors Community" when masters are separated. That said, I would go whether we are all together or not. As far as next year, for those of us far from Madison, we might have to make the choice between nationals and worlds, and Madison in January doesn't sound too appealing from my perspective in California. We haven't decided yet, but just might forego Madison in favor of Louisville. It's too much travel, too expensive, too much time to go back and forth twice, or to stay in the midwest between the races. As I understand it the tradition in Europe is decidedly less inclusive–often there are only a couple races and if there are Masters etc. they are on a separate day. I like the US participatory tradition much more but it seems really productive to try and think through other options before we're faced with flying across the country to do a qualifying race two days before we could potentially tow the line for the championship for our age group. And as someone in the one of the largest cats (40-44) I sympathize with wanting to seed the field (I thought the TT was OK) or somehow cut it down from nearly 200 (at least in 09). Then again, Madison. WI in January will eliminate some. brij, over here in Europe we have far fewer cats than you guys do in the USA. That means shorter championship weekends but larger fields. I've watched in amazement at the cats with an age bracket of only 5 years separation. Really, what is that all about? I understood immediately in my first season of racing that, at nationally-sanctioned events, I would get the crummy, 8:45 am start times, when it's colder and the mud is frozen and conditions are generally less pleasant — and that is just par for the course. If you know your abilities and understand that you are at the bottom of the cyclocross food chain, you accept it and are happy to be able to race at all. That said, I think that any amateur racer — someone who doesn't earn money racing, who holds down a job during the week, may or may not have sufficient health coverage (this IS America, after all) and pays their own way to participate in the sport — has every right to complain about unsafe course conditions without being thought of as a whiner. Thank all of you for the conversation. Each viewpoint really carries a lot of merit and the dialogue is accomplishing exactly what I'd hoped for when I wrote this column. There is no perfect system and all I wanted was to open up the issue. Thank you all. Part 2: Why are we talking UCI ? We do not have a large enough group of riders that can use UCI points. Count them on one hand , and be generous at that. 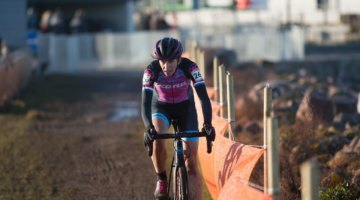 Wanna be an international cross racer ? Move across the pond, ala Page, and clip in with the big boys. We pay a large fee to the UCI, the riders pay an extra fee, and we get a confusing set of rules passed along that irritate most riders. We need an american cyclocross association, that understands the dynamics of the racing here. The grass roots passion, the travel distances and the large participation. I am in complete agreement that the course was not technical or hard. I had a tough day not because of the course but because of the sprained thumb I gave myself on my last warm-up lap that morning. And I don't want to come across as someone who doesn't understand the realities of cyclocross. We wouldn't be addicted to it if it was the road. I liked the course personally. It provided some challenges and as you said, the wed grass and mud presented the challenge. I just wanted to open the discussion about the issues that you also identified. Qualifying races and Madison in particular. As far as hard, I love hard courses and races. If it was easy everybody would do it. So, if you're not going to Madison come to Colorado and race with us. I'd love it. There's an easy engineering fix for lots of these issues — have a venue large enough for multiple courses. They don't play the World Cup at one soccer stadium or the U.S. Open on a single tennis court (there's simultaneous play on about 20 courts early in the week). Seems like a no-brainer. It would just take a little more effort at finding a site with enough space to do this.